FHA cash out refinancing for debt consolidation is not difficult to qualify for if you can stay below 95% loan to value and your mortgage history on your credit report indicates that you have the ability and willingness to make your mortgage payments in a timely manner. Originally FHA loans were designed to help increase homeownership. Since their inception in 1934, FHA mortgages have evolved and now there are many options with FHA mortgage refinance loans that include debt consolidation, cash back and rate and term fixed rate refinancing. In 2008 and 2009 FHA mortgage loans will boast of competitive advantages for homeowners looking to refinance high rate bills and adjustable rate mortgage together into a new fixed rate mortgage that save them a fortune every month. FHA mortgages allow debt consolidation up to 95% loan to value if you have not been late on your mortgage payments in the last twelve months. However if you have been reported late by your mortgage company in the last year, than you can consolidate credit cards, loans and collections up to 85% loan to value. The fact is that using a mortgage refinance for debt consolidation is a great way to reduce interest and long-term debt. No Cost & No Obligation to Apply for Consolidation Mortgages. Exceptions are granted with home refinance loans on a case by case basis if you have circumstances that caused credit problems that were beyond your control. The mortgage rates for refinancing debts and consolidating bills is phenomenal and many homeowners are reporting monthly savings ranging from $500 -$1,200 a month. Homeowners with bad credit and adjustable rate loans can refinance & save with a 30 year fixed mortgage. Conventional debt consolidation loans usually have higher interest rates than FHA mortgages, so homeowners may be pleasantly surprised with their new mortgage payments after consolidating bills and variable rate loans into a fixed rate sponsored by FHA. Because of plummeting home values and high adjustable rates, many consumers are inquiring about the FHA Secure options that are offered to homeowners who were never late prior to their mortgage adjusting. 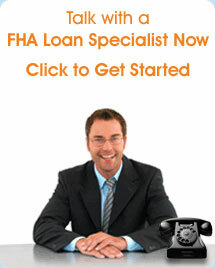 FHA Blog - Read, Comment and Post Questions about Home Buying and Loan Refinancing.